Following the success of the Toy Story movies Director Lawrence Kasanoff (True Lies, Mortal Kombat film series) founded his own animation studio and called it Threshold Entertainment. Kasanoff wanted to make a film about American Food icons living in a city within a Super Market. The movie had actually been in development since 2002 but during the development the hard drives containing the films footage were stolen, this meant that Lawrence Kasanoff and the rest of the development team had to start the production again from scratch. 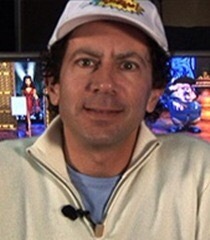 During interviews Kasanoff promised that he got the best voice talents he could find and that some of the best animators world wide would be helping with the development of the film, but sadly the film was never released and was instead locked away in a vault never to be seen by the public eye, until 2011 when it was advertised in a Hollywood news paper. The movie finally got released In 2012 but instead of going to theatres it was instead released straight to DVD. The movie follows the adventures of Dex Dogtective (Charlie Sheen) who has spent six months in a deep depression after his girlfriend Sunshine Goodness (Hilary Duff) went missing. 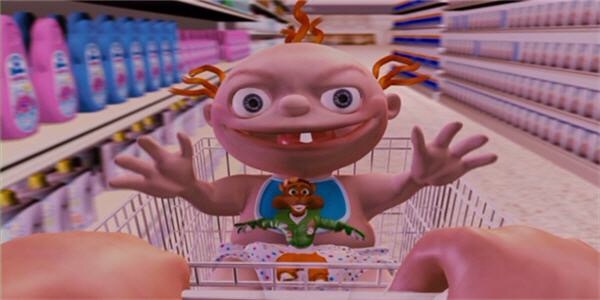 Things move on for Dex and the rest of Marketopolis until a villain called Lady X (Eva Longoria) and her army of Brand X Minions arrive to take over the store. It is now up to Dex and his best friend Daredevil Dan (Wayne Brady) to save the supermarket. 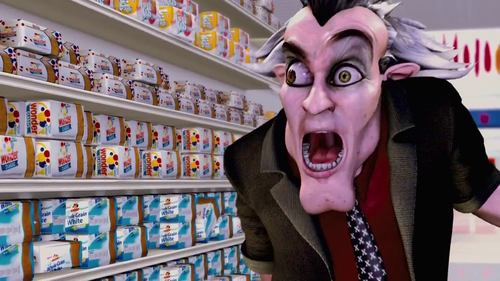 Food Fight is often referred to as the animated equivalent of The Room but the sad thing is that the movie actually had potential and could have been at least decent but unfortunately everything went wrong. 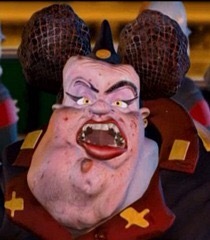 Food Fight has no redeeming factors, the voice acting sounds like something out of a school play, when characters talk their lips don’t synchronise with the vocals, the characters are all generic and not very interesting, the animation is badly put together and there is a huge error which makes the characters limbs jolt about making it look like the entire film was made on Microsoft Kinect. My biggest question is where did that 65 million dollars go? because it definitely didn’t go towards the graphics or the visuals because I have seen less disturbing imagery in some horror flicks. 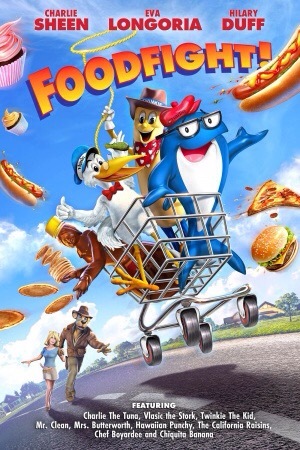 Food Fight is a horrifying mess of a movie it is literally the worst movie I have ever had to sit through and it should not be seen by any one. Marvelous, what a weblog it is! This weblog presents useful information to us, keep it up. will come back at some point. I want to encourage you continue your great job, have a nice afternoon! I do enjoy writing however it just seems like the first 10 to 15 minutes tend to be lost just trying to figure out how to begin. Any ideas or hints? work on. You’ve done an impressive activity and our entire community will be thankful to you. and you’re simply extremely fantastic. I actually like what you have received right here, certainly like what you’re saying and the way in which by which you are saying it.